Social Security Number Trace & Identity Verification | AccuSource, Inc. The first step in any comprehensive background screening program is to confirm that your job applicants are who they say they are. AccuSource’s Identity Verification Services make sure you get the right results, fast. Identity theft is more prevalent than ever, increasing the chances that your job candidates may be using stolen information on their resumes and job applications. If a candidate is misleading about who they are, it’s likely they are lying about other things as well. The foundation of a trusted pre-employment background check is understanding any alias names and previous addresses of an applicant to ensure proper jurisdictions are investigated. AccuSource’s Social Security Trace and Address History Validation provide insight into names and address associated with an applicant’s social security number. 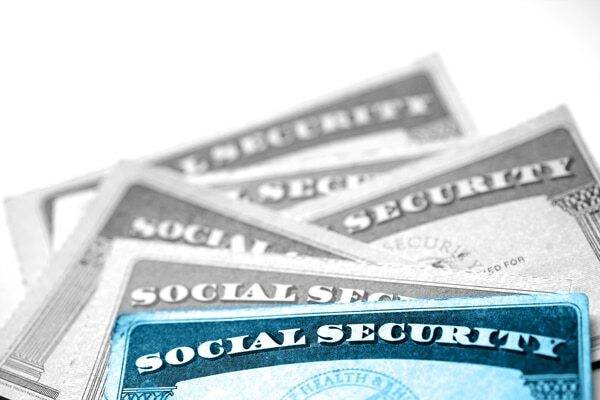 Additionally, organizations who desire confirmation that a Social Security Number (SSN) provided by an applicant actually belongs to them are provided with an option to validate the SSN through the Social Security Administration. Specific employment environments may necessitate validating the Social Security Number (SSN) provided by an applicant is their true Social Security Number assigned specifically to them. AccuSource offers the Consent Based Social Security Number Verification to aid employers in validating an applicant’s SSN directly at the issuing source: the Social Security Administration. Information provided includes original name and any registered alias names identified with the social security number, verification the social security number is still valid (not issued to a deceased person) and date of issuance. Social Security Number Trace and Validation accesses credit headers and other database sources to provide a history of the applicant’s current and previous names and addresses. The search may also validate the year and place of issuance of the Social Security Number. The Social Security Number Trace and Validation is commonly used to develop data points for researching criminal history. What is a Social Security trace and validation? A search of credit headers and other database sources to provide history of the applicant’s names and addresses as they originate from credit headers. This also validates the number’s authenticity, as well as year and place of issuance. It is used as a criterion in checking criminal history. Addresses and names provided within an social security search can be used to determine what names and jurisdictions to search for criminal activity. Younger applicants and individuals new to country, who might not have developed a credit history yet, might not have a SSN history. Typographical and /or transposition of numbers at the time a Social Security Number is used by a creditor to initiate a credit inquiry can create errors in the data. Interpretation of data is critical; although the search can uncover evidence of identity theft, fraud must not be assumed without further investigation such as validation directly through the Social Security Administration. **An employer should never make a direct hiring decision based upon the information contained in the Social Security Trace; however, the information in a trace report can be the basis for further research of an applicant. What is the purpose of a SSN (Social Security Number) trace? A SSN trace provides key information needed to conduct a comprehensive criminal background screening search. Utilizing data from credit bureaus and other consumer data sources, the SSN trace identifies names and addresses previously associated with a specific Social Security Number. This data can then be used in criminal records research to identify other jurisdictions where criminal records may exist beyond the previous addresses disclosed by the applicant (consumer.) Additionally, the SSN trace may also reveal alias names used by the applicant that were not previously disclosed. As most criminal record information is indexed by name and date of birth, searching alias names in addition to the applicant’s primary name is key to ensuring effective criminal records searches. What information is required to run a background check on an employment candidate? The scope of employment background screens can vary widely from employer to employer. Even the type of position sought and employer’s industry can impact the breadth of the screening components contained in a specific screening request. The types of services or products contained in each background screening request has a significant bearing on the types of information required to facilitate research. In standard criminal history background screen, most Consumer Reporting Agencies (CRAs) begin with a social security trace (SST) or address locator search to identify any previous addresses or alias names associated with the applicant. The applicant’s social security number (SSN) is generally required to conduct this type of search. Additionally, applicants are asked to provide their full legal name, date of birth and at least 7 years of address history. The address history (both developed by the SST and applicant-provided) aids in determining the courts searched for potential criminal records. Most criminal records are indexed by the defendant’s name and date of birth. Once a potential record match is located, additional information is sometimes required to confirm the record match. Employers often request additional services to meet their specific screening needs. These services commonly include verification of employment and education history, verification of professional licenses, personal and professional references, and driving records. Each type of search has its own set of search data required to ensure a quality result. No two employers are completely alike in their program needs and organizational requisites are ever-evolving. For more information on AccuSource’s individualized screening services or an analysis of optimization opportunities, please contact us at marketing@accusource-online.com.